I have a crazy sweet tooth and I’m not afraid to admit it. I won’t sit with my feet up and eat a box of bon bons, but a little treat in the afternoon when our daughter’s at school and the little dude is down for his nap, gives Mommy that wee bit of energy to get me through until dinner. I’ve been finding recipes that have little or no sugar added and even ones that don’t have the standard ingredients like butter and flour. I found this super amazing one that you’d probably agree is pretty AMAZEBALLZ! 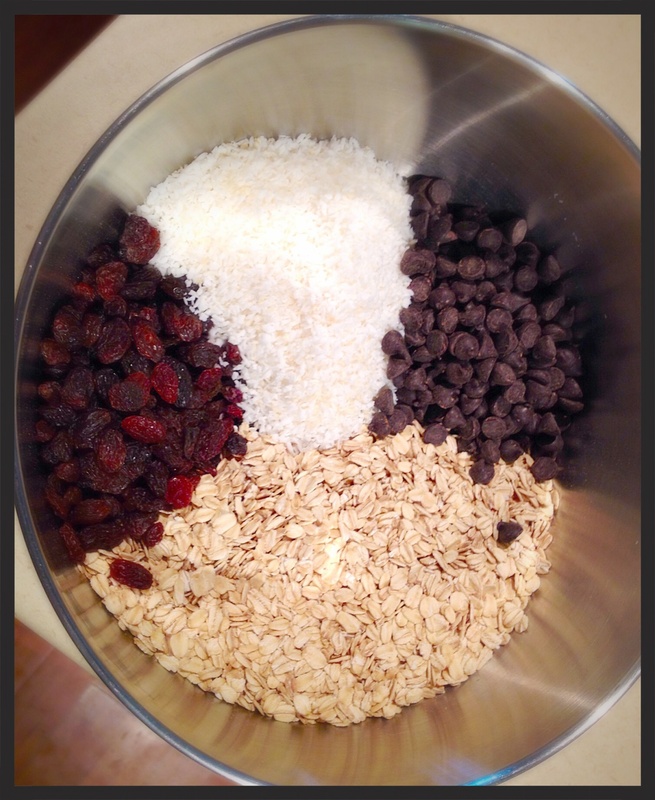 Remove from heat once it’s melted together and add in the oats, shredded coconut, chocolate chips, nuts/raisins, and vanilla. Stir together until the chocolate is completely melted. Pour into a greased 9×13 pan and cool in the fridge. If you’d like thicker bars, you can pour the mixture into a smaller pan. 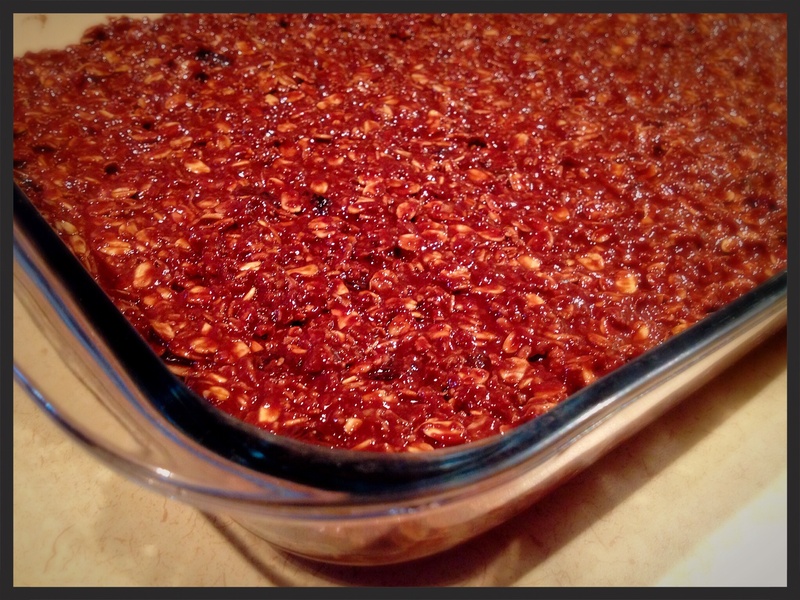 When the mixture is hardened, cut into bars and eat. Store in the refrigerator or freezer.